The lifecycle production and use of biodiesel produces approximately 80% less carbon dioxide emissions, and almost 100% less sulphur dioxide than mineral diesel. Combustion of biodiesel alone provides over a 90% reduction in total unburned hydrocarbons, and a 75-90% reduction in aromatic hydrocarbons. 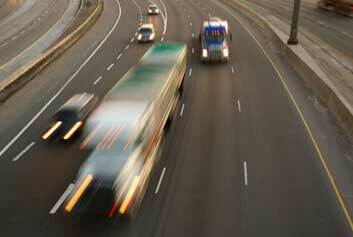 Biodiesel further provides significant reductions in particulates and carbon monoxide than petroleum diesel fuel. Biodiesel produces either a slight increase or a slight decrease in nitrogen oxides, depending on engine design and testing procedures. Based on Ames Mutagenicity tests, biodiesel provides a 90% reduction in cancer risk over mineral diesel. during combustion no sulphur dioxide is generated. SO2 is one of the main substances blamed for acid rain. during combustion no sulphate is produced. The amount of particles in exhaust fumes is drastically reduced. the motor oil is less laden with acidic residue of combustion. catalysts can easily be adjusted to sulphur-free fuel. Catalyst poisoning is reduced and the service lifetime is significantly prolonged. Cetane is a measurement of how quickly the fuel burns- higher cetane ratings indicate a faster, more efficient ignition of the fuel. To meet the Australian standard, biodiesel must have a cetane rating of at least 51, whereas mineral diesel is only 47. The cetane rating of biodiesel is usually 55-65. Oxygenated fuels provide significant improvements to combustion characteristics and emissions. Petroleum companies artificially oxygenate their premium fuel products for this reason. However, biodiesel naturally contains between 6-12% oxygen (depending on the type of feedstock oil) which improves combustion efficiency and significantly reduces emissions, particularly the soot emissions that are normally associated with diesel engines. In field tests for over 15 million driven miles, biodiesel shows fuel consumption, power and torque similar to mineral diesel. Due to the oxygen content of the fuel, it has a slightly lower specific energy content, however, this is offset by better combustion properties to provide a fuel that is, in most instances, equivalent to mineral diesel. Biodiesel has much better lubrication properties than mineral diesel. The lubricity of mineral diesel can be improved by blending in relatively small amounts biodiesel, preventing the need for lubricity additives which are normally required in mineral diesel products. Biodiesel generally smells like vegetable oil, and has none of the strong vapours that are associated with petroleum products. 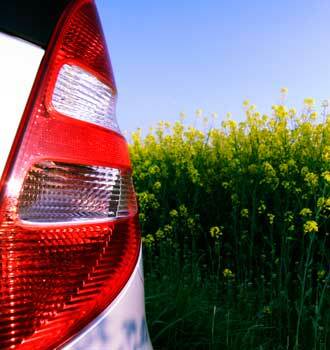 When using 100% biodiesel in a diesel engine, the exhaust odour reflects the feedstock that was used for production.